NEC Display Solutions of America and BrightSign have partnered to offer bundled signage solutions consisting of an NEC commercial-grade display with an integrated BrightSign digital media player. These bundles, one of the first promotions from NEC’s Alliance Partnership Program, will offer deep discounts to the channel. 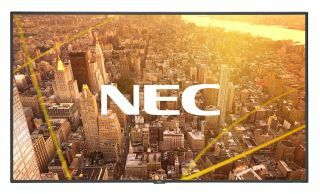 NEC’s new C Series and V Series displays—when sold with a BrightSign Series 3 LS, HD, or OPS-compatible HD media player (HO523)—will have a promotional rebate available through Ingram Micro, Stampede, Almo, and BlueStar. These bundles are well suited for a wide range of digital signage needs, and business clients can expect full support from NEC Display Solutions and BrightSign throughout the life of the project.